Also Known As: “Keep feet still; don’t lift them from the ground”. This swing thought has you focusing on keeping the sole of your feet on the ground throughout the swing. Specifically it targets the heel of your left foot during the backswing, which may tend to lift from the ground as you coil your upper body back. Restricting your left heel from rising from the ground reduces the movements involved in your swing, which promotes consistency. 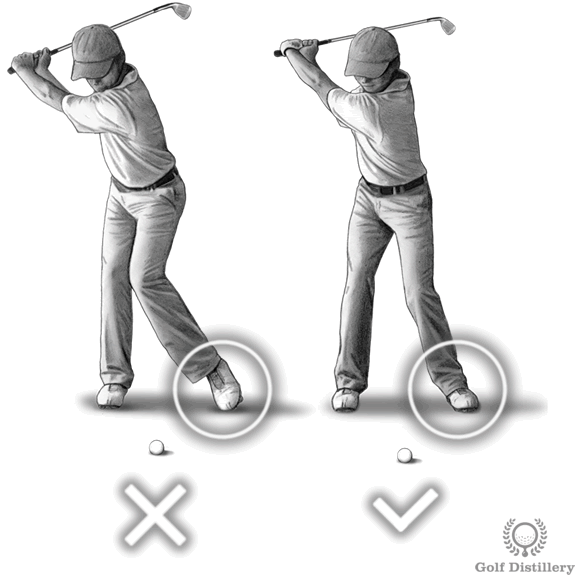 While golfers in previous generations famously lifted their left heel (Ben Hogan, Jack Nicklaus, etc.) 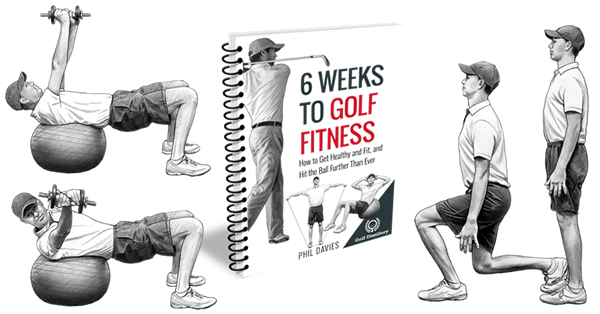 that practice is simply no longer a core component of the modern golf swing and adds difficulty to the golf swing, which amateur golfers may struggle with. Some golfers that lift their heel from the ground during the backswing do it because it allows them to rotate their upper body further. The problem that can arise is when these golfers use this trick to rotate further than what is needed, resulting in over extension, or over rotation. While seeking to gain a few extra yards, these golfers are doing it at the cost of consistency. 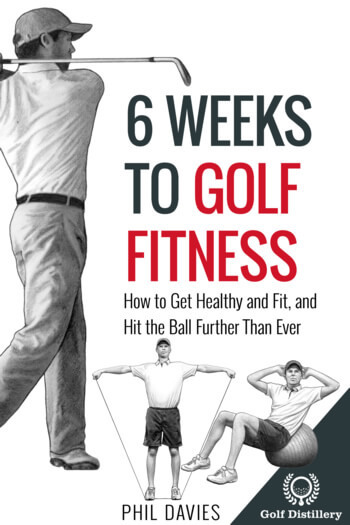 Quite simply and generally speaking, the fewer the movements involved in a golf swing, the easier it is for golfer to reliably hit good shots. Increasing the degrees at which the upper body turns will make it harder to properly accelerate all the way towards impact, and lifting the foot from the ground will make it harder to position it back at the right spot and at the right time. 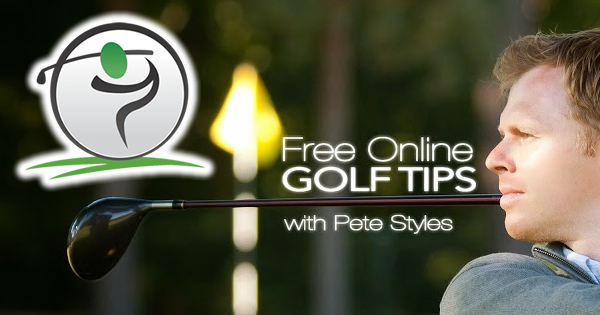 This swing tip can be incorporated into all golf shots as the modern swing no longer promotes lifting the heel.